This week I am highlighting one of my personal favorites. 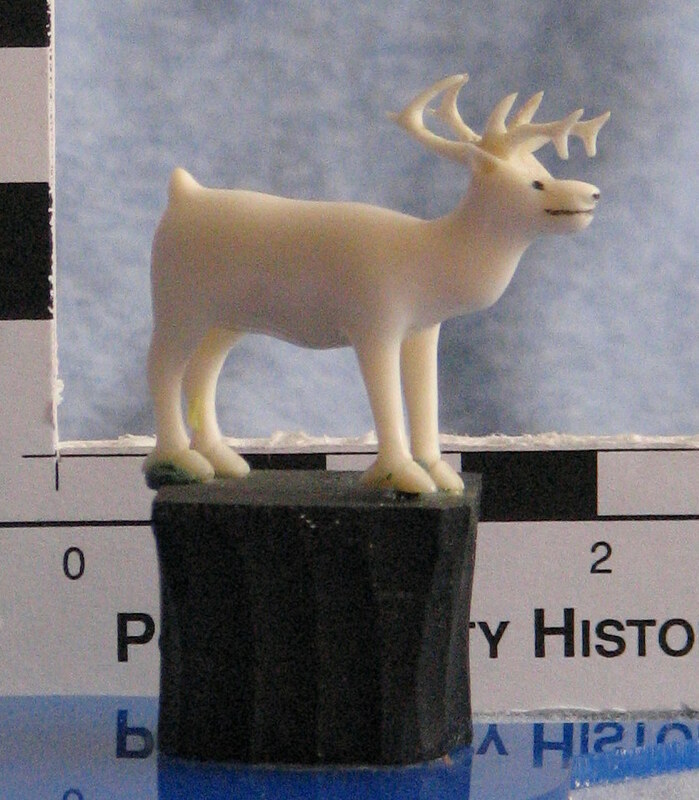 It is the delicate reindeer hand carved from ivory. This entry was posted in Collection Notes and tagged A-Z, Alaska, Cleora Helbing, Eskimo, ivory, ivory carving, museum collection, Native American art, reindeer. Bookmark the permalink.